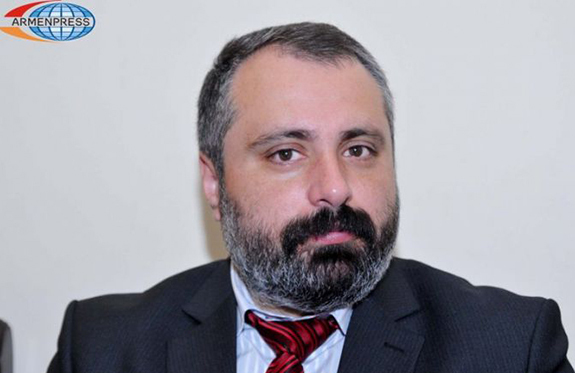 STEPANAKERT (Armenpress) – The Azerbaijani demands put forward in Warsaw in the sidelines of the OSCE conference about the release of the Azerbaijani diversionists Dilham Askerov and Shahbaz Guliyev jailed in Artsakh are another provocation and informational terrorism conducted by Azerbaijan, according to Artsakh President’s spokesperson David Babayan. Babayan also discussed that the trial of the two Azerbaijani terrorists took place in Artsakh in an open and transparent atmosphere with the participation of international observers, mass media, and lawyers and they have been proven guilty. “It’s not ruled out that Azerbaijan can initiate other measures to acquit them. This is a way by the Aliyev regime to distract the attention of their own people from real problems. We are ready to take counter-steps against such provocations. Meanwhile, the European institutions should take such issues extremely serious,” Babayan concluded.